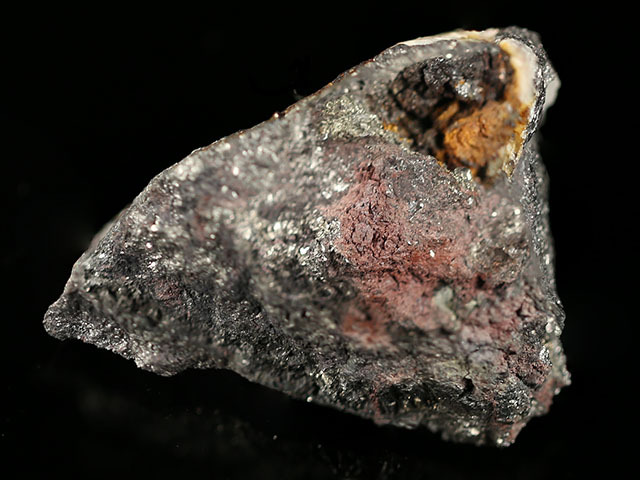 Penroseite is a nickel selenide of the pyrite group. Sam Gordon presented a description of penroseite at a November 12, 1925 meeting of the Philadelphia Mineralogical Society. 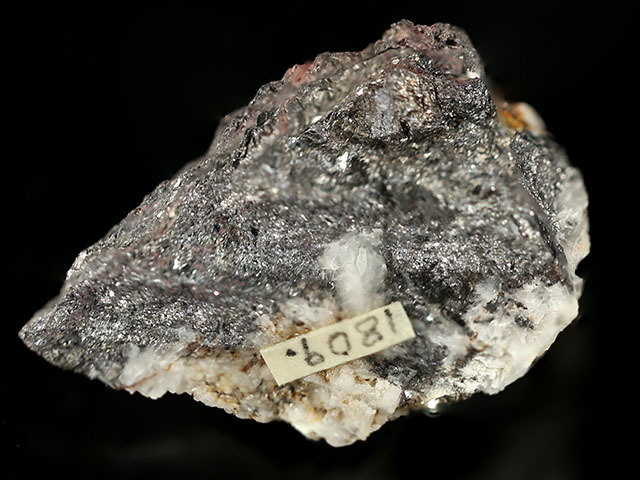 The mineral name honors R.A.F. Penrose, Jr. (1863-1931), American economic geologist, of Philadelphia, who left a large endowment to the Geological Society of America. Today the Penrose medal is the highest award given by the GSA. Clausthalite is a lead selenide of the galena group. While often called the "Pacajake mine", this occurrence is actually the "Virgen de Surumi" mine. This is a massive hunk of intergrown penroseite and clausthalite. Qualitative SEM-EDS shows significant Cu and minor Co substitution in the penroseite. There are pockets in the selenides, but their contents are unexciting baryte and anglesite. This specimen was part of the personal collection of Ralph Merrill, proprietor of the prolific mail order business Minerals Unlimited. Merrill's collection card and label ship with the specimen.